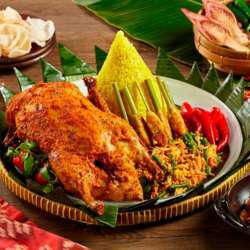 My pleasure to invite you in my house to cook an Indonesian dinner full menus together. I decide what we want to cook and get the ingredients, then we will prepare them and enjoy them together. I will send the details program via mail to all attendies. Please note this is a small event which includes involvement by the attendies.